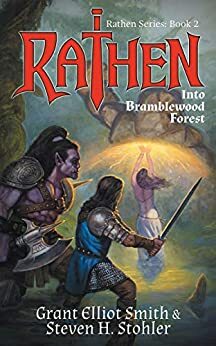 Rathen: Into Bramblewood Forest follows Rathen and his crew as they fight against an ancient and terrible deity. What was your inspiration for the setup to this novel? Bramblewood Forest is the second book in the Rathen Series and continues from the first, but also reads well as a stand-alone story. The inspiration for the series came from when Steve and I played role playing games in the early 80’s. Steve, as my step-father would bring home a variety of board and card games where you had to create background stories. I am not sure many people these days can imagine a life without the internet or well-made computer games, but we had to be creative and use our own imaginations for entertainment. We also played a lot of Dungeon & Dragons back then where we created entire worlds with a complete cast of characters. I was just a teenager but I learned what went into creating a story. My particular passion homed in on how the characters were influenced by their environments and worlds and how an ordinary inhabitant could strive to be a superhero even without supernatural powers. The legend of Ghrakus Castle was roughly based on a story Steve created a long time ago. I took the idea, drew more into it, and added that as a background for the characters to interact. Steve and I have endeared a long lasting collaboration on stories and role playing game ideas and hope to keep it going for a while longer. This is a thrilling book that combines elements of science fiction and fantasy. What was the collaboration like between the two of you while writing this book? This was the fun part. Steve and I would sit and talk for hours brainstorming new ideas and concepts that we could integrate into the story. We created the magic system in Rathen’s world and explains in detail the strengths and weaknesses. We described things from completely other worlds and even went as far as explaining how the deities came into being. My favorite creation was the ancient being known as “Arg’grimorem” Rathen and his group had to face. Believe me, it isn’t easy coming up with new ideas in the fantasy genre, but I think this creature was unique. There were so many intriguing characters in this novel. Who was your favorite character to write for? That is a difficult question. I really got into the heads of all the characters giving me such a strong connection to them. Rathen is always fun to write, but we had such a variety in this book. Magom, who is the character that really stands out in the group, was a challenge since he is an undead being. I had to really think what it would be like to be dead but yet still walking around and interacting with others. But I have to say my favorite character to write for in this book was Caswen, the young cleric from the temple. She had such a fun `coming of age` story and her character arc really made her feel complete. I wanted to continue writing her even after her story had ended. This is book two in The Rathen Series. 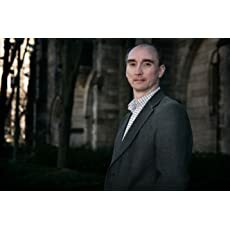 Where will book three take readers and when will it be available? Book three, “The Battle for Korganis”, is still being written. Rathen will enter Bandark’s strange new world and help fight against the forces of the evil deity. It is shaping up to be quite an epic battle. It may be overly optimistic, but I am hoping for a release near the end of 2019. A man driven by revenge. Another world in peril. A long-forgotten deity determined to destroy all in its path to ultimate power. Rathen, ex-captain of the late king’s army, pulls together a team to defeat the evil that threatens them all. The Book of Ziz, with its instructions for protective spells against an evil deity has fallen into the nefarious hands of High Priest Litagus, meaning soon untold evil will reign unchecked if Rathen fails. Consumed by his personal vengeance for the betrayer in the earlier death of his friends, Rathen travels to the ruins of Ghrakus Castle to enlist the aid of the very being who tried to kill Rathen once before. Only the black powers of this ancient evil can ensure their mission to steal the book back, but can those powers be trusted? To safeguard his group, Rathen also recruits Caswen, an inexperienced young healer determined to make her mark on the world. Together with Bulo, an ex-gladiator and fellow warrior, Thack, a one-armed half-orc, and Bandark, a mysterious mage from another world, the group heads through the menacing Bramblewood Forest to confront Litagus and his followers.